For further information on any of the properties please email us quoting the reference number. 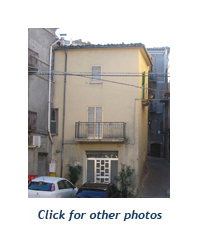 3 Storey townhouse in Piazza Marconi, Archi. Ground floor living area with double bed leading to first floor kitchen/dining room and second floor master bedroom and bathroom.No heating installed. 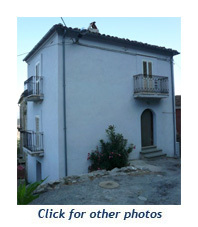 Semi-detached 2 storey house on the outskirts of Archi. 4 rooms and adjoining stable. 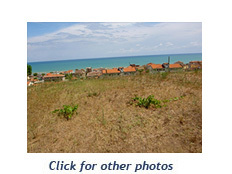 Includes building plot, at the discretion of local authorities. Needs totally renovated. 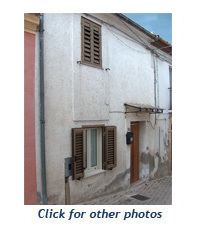 Detached 2 storey house, 2 rooms in Archi. Perfectly preserved 18th century features. 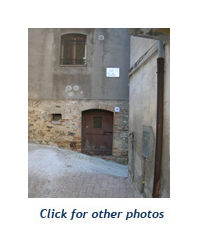 Previously used as a wine cellar. Fireplace and original flooring. Needs totally renovated. Terrace house located in the old part of Archi. 4 rooms plus bathroom, cellar and small roof patio. 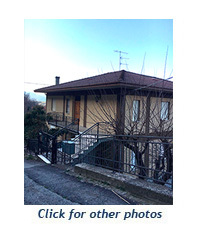 Terraced 2 storey house with spacious attic rooms - in Archi. Ground floor garages partially converted to living areas. Separate stairway to 1st floor apartment - 3 rooms plus bathroom and kitchen. Stairway continues to attic. Liveable but needs modernised. Land with sea view - Francavilla al Mare. 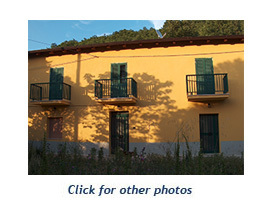 3000 m2 beautifully situated on a hilltop overlooking the sea, 2545 m2of which can be used for building - located on Strada Comunale Setteventi. Price negotiable. 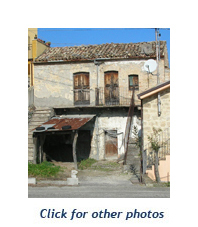 2 storey house on outskirts of Archi. 500m from periphery of the village on the confines of woodland. Liveable but needs modernised. 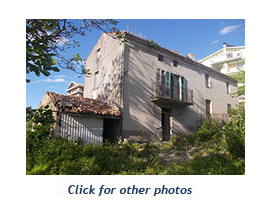 3 storey terrace house on the outskirts of Archi. Ground floor entrance to living room/kitchen area. First floor 1 bedroom and bathroom. Basement cantina. Liveable but needs modernised. 3 storey terrace house in Archi. Liveable but needs modernised. Ground floor entrance to living/dining room extended to kitchen area. First floor 1 bedroom extended to bathroom. Basement room with adjoining bathroom - exit to back yard and garden area. Price negotiable. 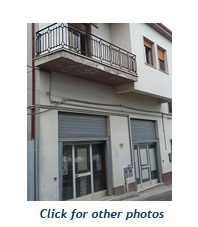 3 storey detached property in Archi. Divided into 2 apartments 155 sq.m, with ground floor garage, storage area which could be developed to serve as another apartment. Price negotiable. Possibility to purchase single apartment. 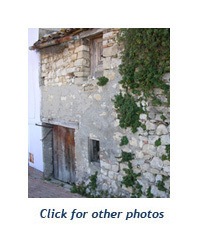 Old cellar in Archi, could be used as garage or for storage. 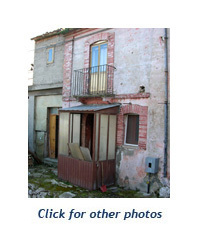 Detached 2 storey house, in Castelfrentano. 240 sq.m. Needs renovated. Lots of room.